Individuals that are looking to improve their health and wellness, or want to take care of drug-free pain relief solutions, will want to shop the Healthmate Forever product catalog. Visitors to this online shop will find high quality TENs units available for sale without a prescription necessary, many of which are made by the biggest and most well-known brands in the industry. 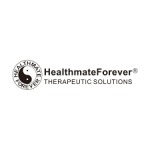 Professional doctors have reviewed many of the products available for sale at Healthmate Forever, helping customers shop for items that will make the biggest impact on their overall well-being. Customers that sign up for the free email newsletter get 10% off and orders of $30 or more ship free.